It is said that “Don’t make something unless it is both necessary and useful; but if it is both necessary and useful, don’t hesitate to make it beautiful”. WordPress is changing the face of web presence for having a beatiful website to represent and publishing the contents. 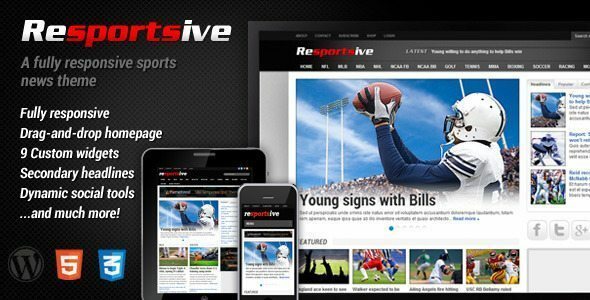 There are a lot of choices out there for Sports related blogs and websites but selecting a WordPress as a CMS and sports related theme for front end provide tremendous options. This compilation is based on WordPress themes which have been used by sport Professionals. With Primium Themes , as well there is a list for Free WordPress Themes for sportsman and other physical fitness Professionals to present their website based on WordPress. Specially if you have a client to run a Gym website that want to provide online sports training and to teach Gyms members how to keep up to date with latest techniques than following list would be very helpful for web designers and developers, check out this great collection of fitness related Websites which developed by using WordPress: Top Sports Blog on WordPress. Following WordPress templates for your sports club website with care, taking in account all the things you will need to effectively run the Fitness website. 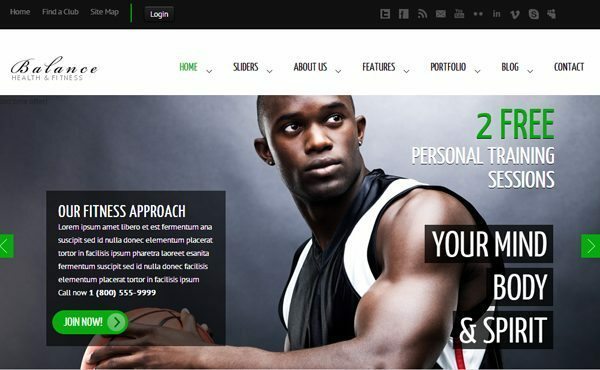 There are many WordPress templates created for specific sports like soccer, golf, etc. while there are others that are designed to be suitable for all sports in general. In this article, we have collected a sizeable number of templates suitable for your sports club website. 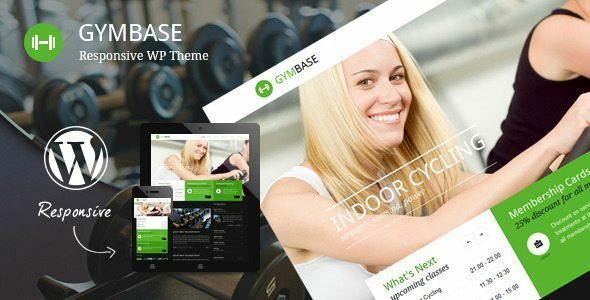 Fitness WordPress Theme has unique split screen design. Left hand side keeps widgets and uniquely designed sections, right hand side is there for your content. Feel free to click through our demo site to see how impresive your presentation can be. Theme is built on our robust MVC framework that means that HTML design is completely separated from other PHP . Making updates cannot be easier. Theme contains blog page with comments, filterable portfolio with details page, responsive timetable page, classes based on accordion page and contact page with map of location and working contact form. Fitness is created primarily for a fitness club or gym, however the way we have created the theme it would work perfectly for many business types. With a full suite of page templates, short codes, galleries, post formats and color picker built in to change the entire look of the theme really it’s a simple process to make it perfect for a doctor, dentist, service or business theme. Freestyle is an Adaptive theme designed for Desktop and Mobile phones. As an addition have Five Beautiful Content Example Pages that are ready to use to make your pixel perfect presentation. You can combine them in any way. eGamer from Elegant themes comes with video integration and in built rating system. It is available in 4 alternative color schemes. There are many preset templates for various pages and a huge collection of useful short codes. It supports automatic resizing of images and is ready for banner ads integration. It also supports gravatar and generation of custom thumbnails. This is a great sports theme from Theme Fuse. It has a dynamic slider on the front page. The live scores can be integrated in the website and you can upload your own custom logo. The theme is compatible with most of the modern web browsers. 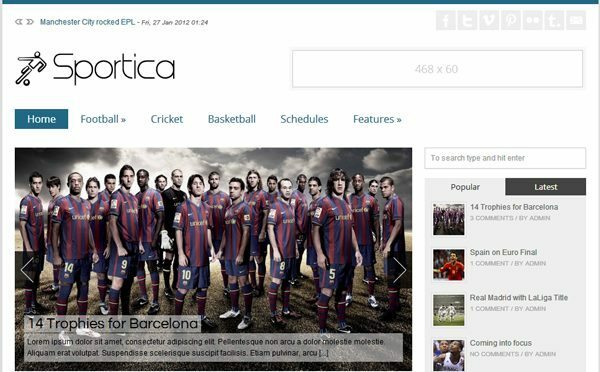 SPORTICA is a responsive, simplistic styled, neat and clean WordPress Theme for Sports News/Editorial/Magazine websites. Simple and Clean Layout with Responsiveness makes this theme perfect to use in your WordPress Websites. This theme has custom Theme Panel for configuration and detailed documentation so that anyone can use it properly. 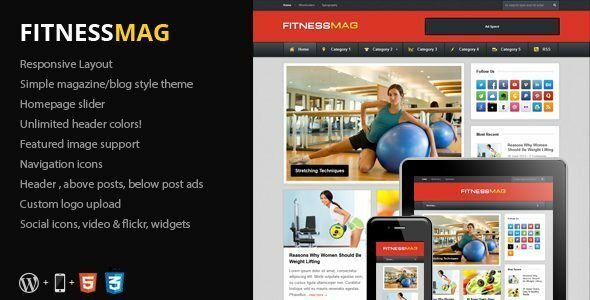 Responsive: Fitnessmag is a responsive theme, which means it will resize it’s layout depending on the browser size the visitor is using. You can try be changing your browser size while viewing the preview or go ahead and scan the code below to check it out on your mobile device!